Playing in Evanston for the first time in 2019, Northwestern looked right at home. The Wildcats (3-4) defeated Duke (3-4) and Chicago State (0-3) on Sunday, extending their winning streak to three matches in the young season. After struggling to start off the year with four straight losses, NU followed that stretch with three straight wins. Sophomore Nick Brookes said the team continues to believe in its ability, saying that staying the course through adversity can lead to more wins in the future. In the first match on Sunday against the Blue Devils, the Cats won 4-3. 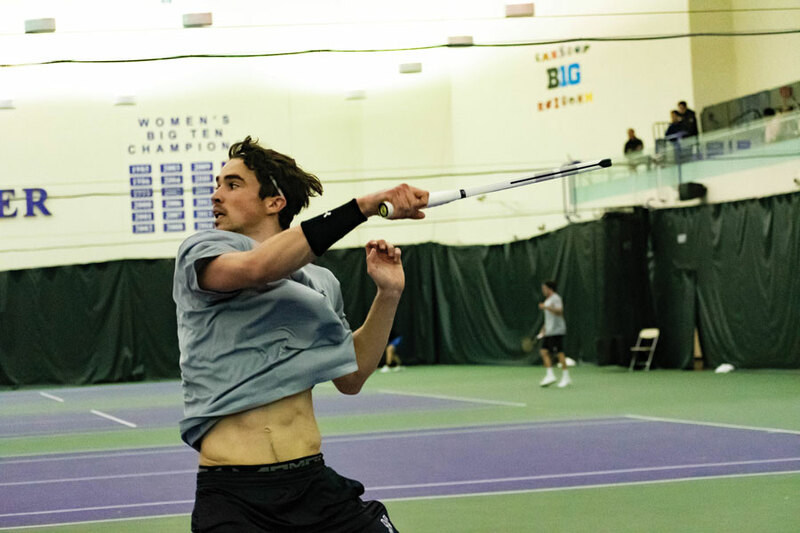 For the second consecutive match, it won the doubles point thanks in part to the play of Brookes, who was paired with freshman Simen Bratholm. The two won their set 6-2 in what proved to be the match-deciding point for NU. Brookes said he attributes this to the team’s recent success in doubles as a result of having the opportunity to continue to “gel” and become more experienced. After also sweeping the Cougars 4-0 in a separate match, those results have started to come for the Cats. Coach Arvid Swan said he sees this as a product of the team’s hard work in practice as well as playing the game confidently. Both of those components, he said, can help explain this turnaround. In addition to NU continuing to believing in its abilities, Swan said he sees the younger players gaining important experience with the benefits of that beginning to show in a positive way. Looking ahead, NU plays four matches in the next week. The first three will be at home against Oklahoma State, Harvard and Purdue. Sunday night, the Cats play at Chicago State to wrap up a busy week. Heading into this intense stretch, Swan said his team needs to continue to play like they have played the past three matches. Brookes, while emphasizing those points as well, said that he’s just looking forward to playing.